1 Above ground, covered. Permanently dry, insect risk. 2 Above ground, covered. Occasional risk of wetting. 3a Above ground, coated. Exposed to frequent wetting. 3b Above ground, uncoated. Exposed to frequent wetting. According to the British Standard for Durability of Wood and Wood-based Products – Natural durability of solid wood (EN350:2016). 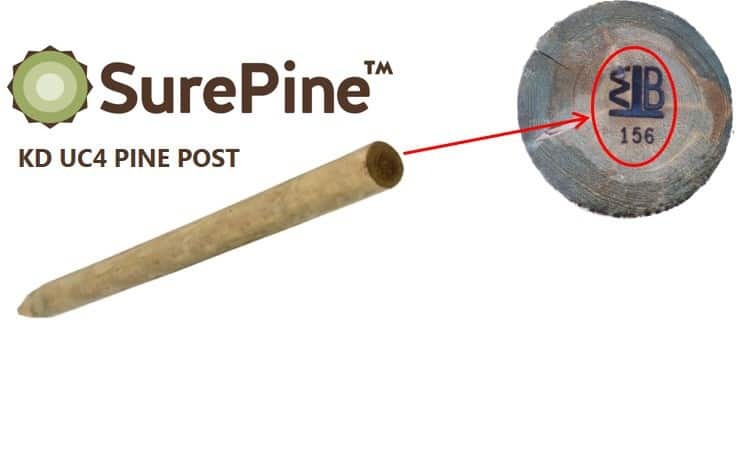 Pine possesses a naturally more durable heartwood and a much more treatable sapwood, making it a much more suitable species than Spruce for in ground applications. Sapwood of all wood species has a durability classification of DC5 (not durable). This means that it is important to ensure this part of the timber is protected through the timber preparation and treatment process. The natural characteristics of both Spruce and Pine are different, which in turn directs the user to making the correct species choice for the correct application. Simply put – Pine for in ground, Spruce for above ground.